A strong and structured, thats how we'd describe Sulaiman. To keep both sajada theme cohesively, we incorporated blue color in both designs. Sulaimanis a masculine design composed of clean lines forming a border and an archway on a creamy base. Six-pointed stars, ovals, diamonds and criss-crossing lines are brought alive by accents of bluish grey giving it a contemporary feel. 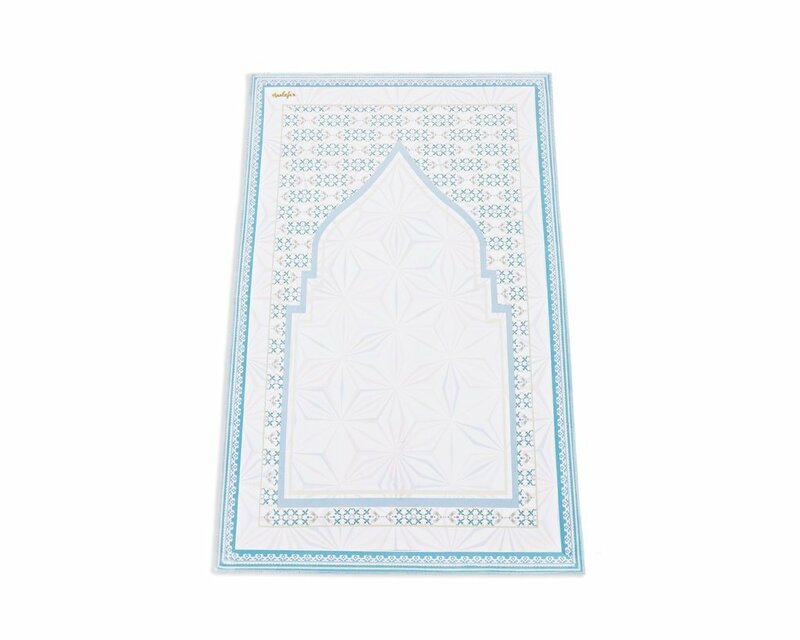 Each Sulaiman prayer mat comes in a beautifully designed box and a paper bag. What a way to pamper your man this Ramadhan with this thoughtful gift. A gesture that will make anyone feel so loved and appreciated.